When you purchase a home in Arizona you will either be in the city fire district (part of your taxes) or you will be outside. If you are outside, typically out of city or incorporated limits, then your fire service will most likely be provided by Rural Metro Fire Department. If you are in a subscription fire service area of Rural/Metro you will have to pay an annual fee for fire service to your Arizona home. 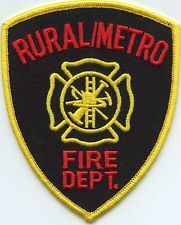 Rural Metro is a private company providing fire service and is not funded by tax dollars. 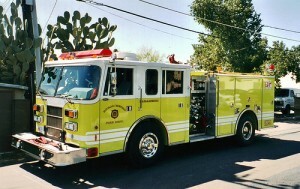 In Arizona, Rural Metro Fire Department services Maricopa County, Pima County and Pinal County. Do I have to Pay and Subscribe to Rural Metro Fire Service in AZ? This question is often asked when homeowners are shopping and researching home insurance in Arizona. The answers are Yes and No….. Yes, you will want to pay for Rural Metro if you would like to have them respond to a fire and not experience out-of-pocket expenses for that response. In other words, they will respond and put out your house fire – as a paid subscriber the bill is covered by Rural Metro and as a non-subscriber you will be billed for fire service. Recent reports show that Rural Metro may charge $1500 per fire engine responding and $150 hour per firefighter. Can I still get home insurance without subscribing to Rural Metro? Yes and It Depends. This question is creating quite the fire-storm (pun-intended) with owners and insurance agents in AZ! Why? Because many homeowners have stopped paying their Rural Metro subscriptions. For years this lapse in a homeowner’s fire service was not efficiently tracked and monitored by insurance carriers. However, there is now a database for insurers to check. Our Arizona Independent Insurance Agency has been receiving inquiries from our owners, our insurance companies, and other captive insurance customers from State Farm, Allstate and Farmers in AZ. Your home insurance rate in the state of AZ will be based heavily on if your home is located in the city fire district or in Rural Metro’s Fire service district. For example, a $200,000 frame stucco home with a 2 car garage will have an average home insurance cost in AZ of $400 year in the city fire zone and an average home insurance cost in AZ of $650 year in Rural Metro fire district. But wait there’s more! Now if your Arizona home is in the Rural Metro Fire district and you opt out of service, you can choose to pay the higher town class 10 home insurance rates! A recent customer of Pacific Insurance Agency decided to pay $650 year in town class 10 instead of $400 for a Tucson homeowners insurance policy if subscribed. The bottom line about AZ Home Insurance as it relates to your Rural Metro subscription: If you choose not to subscribe you will pay higher insurance rates. You may also get billed if they respond. You can still get AZ home insurance with and without Rural Metro here. Previous Post: This Insurance Blog Will Change Your Life!